Here at Dr. 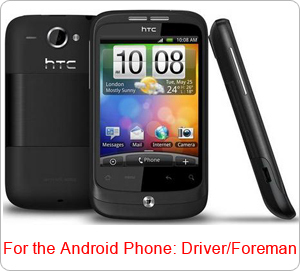 Mover we have great solutions for on-site estimators, Drivers, and Foreman! Our goal is to make their job process easy and efficient with a direct connection to their home office. The advantage for your outside employees is that they can generate new contracts to keep up with any changes from the customer. Also, they can synchronize this new real-time information back to your main corporate office saving time and money. In addition to this, there is built-in GPS tracking and map directions to facilitate your operational employees for on-time arrival to your valued customers. The Dr. Mover Mobile Estimator “On The Go” will increase the on-site estimators closing ratio by letting your on-site estimators spend the time on building a trusting relationship with the client instead of being bogged down with paperwork. Your estimators can experience freedom and walk through the client’s house and record their inventory list. The estimator will also be able to add packing services, extra charges, detailed notes, and E-mail the proposal at the client’s site! 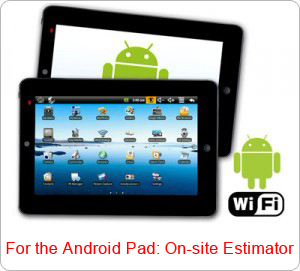 The best thing yet, is that your on-site estimator can work with or without internet connection. Whenever the estimator gets to any location with internet access, the system will synchronize all data that changed to the office server. This means that the main office will be in real-time with the on-site estimator’s actions in the field. The main office will also have the ability to synchronize new jobs to the on-site estimator and eliminate the need for them to come to the office. So in reality all your on-site estimator needs to do is turn on the device, let it access the internet before leaving for the field, and they will see their schedule for the day! The software has built-in GPS tracking which can be used to either find out the employee’s actual location or to use the current location to get directions to their next stop. Utilizing this real-time data stream will greatly improve the operational employee’s ability to get to your client’s home in the scheduled time window. Like wise, if there are changes when the operations guys arrive on site, they can synchronize the new pricing information to the main office or E-mail out the new paperwork for the client to sign right there. All this without hindering job performance. There are two ways that you can accomplish these great benefits for your “On The Go” employees. You can use any tabletPC or laptop that has any Microsoft Windows operating system. With this option the on-site estimator will have the full Dr. Mover software exactly as it is in your office. For the full features list please see the Dr. Mover Corporate Edition page. The Android mobile application “on the go” version is a lightweight application that will run on any Android phone or Apad tablet. This easy to use software will enable your “on the go” employees to quickly gather and change client information. All of the information gathered will then get synchronized with the main office.